Following on from my previous blog post, another image from Swayambhu. The location is known unofficially as the "Monkey Temple" due to the large number of macaque monkeys which have the run of the place. 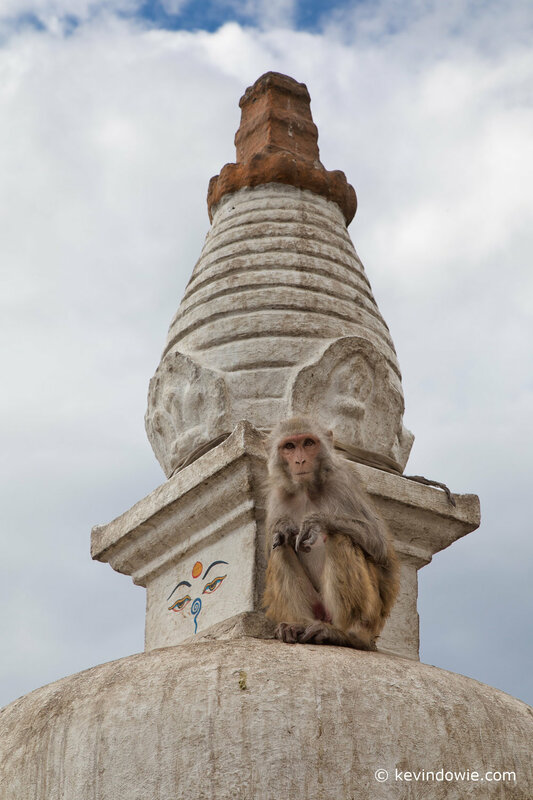 Monkey sitting on chedi, Swayambhu.